Michigan's Capitol Building in Lansing -for more click here, or plan a field trip -we hope to go back in the fall for the full tour. On the way home from a weekend in the Detroit area we decided to check in on Jennifer Granholm our Governor. 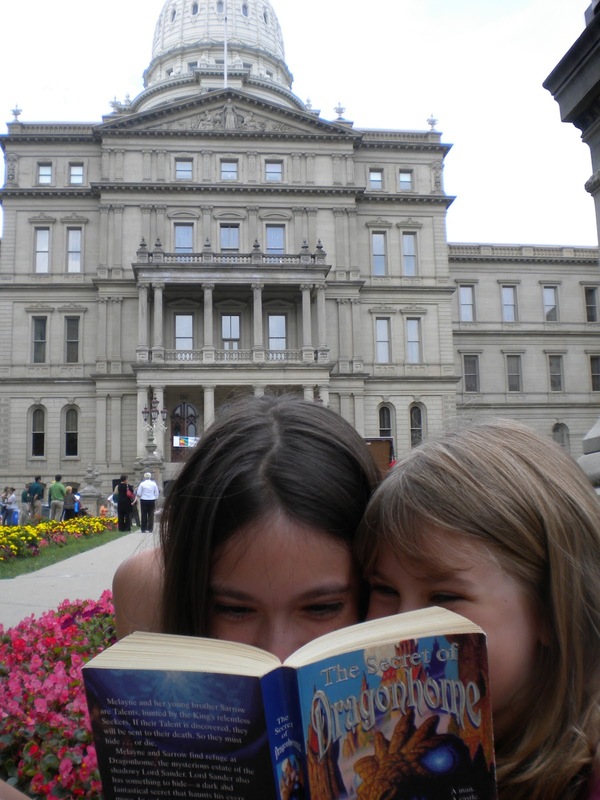 And The Sisters took a moment to to read!